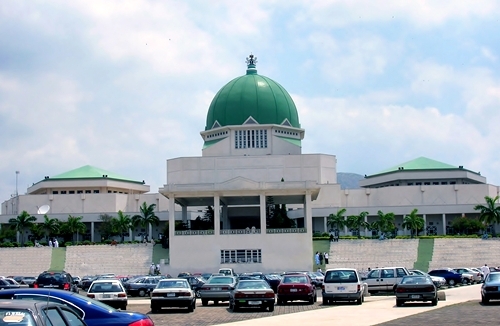 The plenary session at the floor of the Nigerian Senate on Wednesday, turned ‎rowdy over Federal Government’s Social Intervention Programme. According to PUNCH, the fracas started when the Minority Leader, Senator Biodun Olujimi alleged that the programme which was introduced by the President Muhammadu Buhari-led administration is ‘biased’. The Ekiti female lawmaker alleged that beneficiaries of the programme were being asked to provide details of their Permanent Voter Card in the application form. While presenting a copy of the form, she further alleged that ‘I Stand with Buhari’ was written on it, and before the Majority Leader, Senator Ahmad Lawan, who defended the Buhari-led administration and the programme could speak, the chamber had become noisy.